AP Literature & Composition students were locked in the library during one of their final classes before the 2018 AP exam session. Their challenge: work as part of a team to find clues and literary puzzles throughout the library, unlock five different types of locks on a lockbox, and then complete the final challenge locked inside (in this case, the final challenge was to compose a sonnet and a villanelle). The competition was fierce and fun, with students racing to complete the challenges in time. B block teams were so close that when the bell rang for lunch, teams continued writing poems, determined to finish ahead of the competing team of peers. Check out the video (above) to learn more about this fun learning experience for AP students. What's more fun than reading a thought-provoking dystopian thriller? How about meeting the author? Along with several Concordia teachers and students, Justin K recently attended a presentation by award-winning author M.T. (Tobin) Anderson at the Shanghai International Literary Festival, of which Concordia is a sponsor. Mr Anderson agreed to visit Concordia to have lunch with some students, share about his latest writing and discuss his influential book Feed. Concordia HS English teachers know that they're not the only ones who love reading. Spinecrackers is an intentionally lighthearted idea to bring staff and students together for the sheer love of reading. How did it go? See the 2 minute summary here! What's it like to put your own writing in front of a Newbery Medal Winning author? Concordia students Kasey and Alex found out during a recent visit to Concordia International School Shanghai by Jack Gantos. Mr Gantos is an American author of children's books. He is best known for the fictional characters Rotten Ralph and Joey Pigza. Listen in as he chats about writing and living. Read an extended biography here. From carrying a gun to carrying a United Nations passport, Author and UN Goodwill Ambassador Ishmael Beah was recently invited by Concordia International School Shanghai to address over 1300 representatives at the first ever combined Global Issues Network Asia and CISS Model United Nations conference. Take a virtual seat in the Concordia video studio as guest interviewers from Futures Public Radio learn more about Mr Beah's journey. 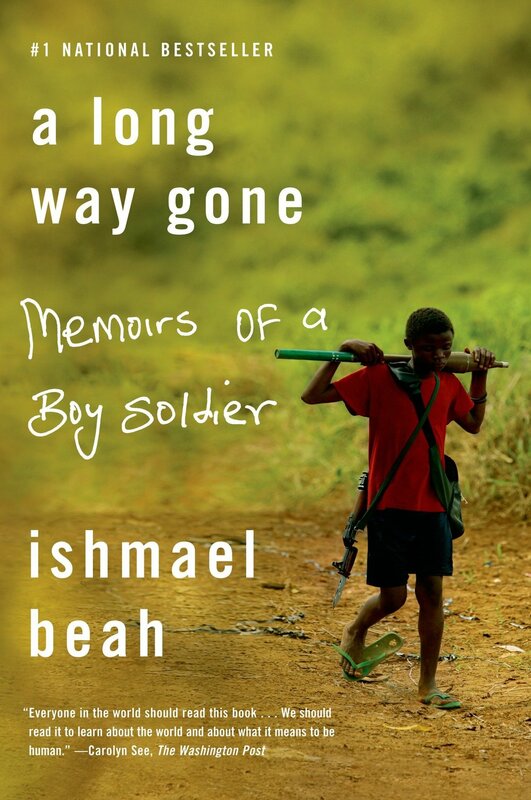 His book, A Long Way Gone: Memoirs of a Boy Soldier, is described here. In this compelling interview, Kim Phuc Phan Thi describes how her live was forever changed by the napalm attack on her village when she was just a young girl. Her anguish was captured in what has been called The Photograph of the Century, but her story was just beginning on that day. The bitterness and anger that were consequences of the event were inward counterparts to Ms Phan Thi's outward scars. She now travels the world sharing her message of forgiveness and hope, and she has come to Condordia Shanghai. 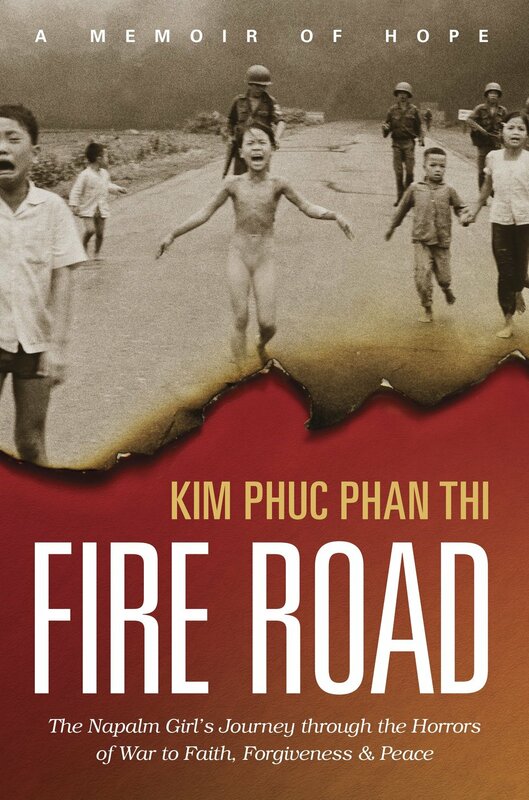 Her new book is called Fire Road: The Napalm Girl’s Journey Through the Horrors of War to Faith, Forgiveness, and Peace. It is described here. Two teenage sisters have taken a stand against pollution in Bali – and they’ve convinced the government to ban plastic bags by the year 2018. The island suffers from a crushing plastic pollution problem, so Isabel and Melati Wijsen decided to take action and start Bye Bye Plastic Bags to mobilize other kids and adults to work toward a cleaner Bali. To achieve the goal, the girls have organized beach clean-ups, put on a fashion show, given a TED talk, gone on a hunger strike, and met with the UN Secretary General. Guest interviewers from Futures Public Radio Beijing get the details. Their story details can also be explored here.